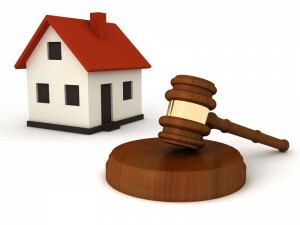 Pali Ltd can produce Auction Packs for Solicitors, Estate Agents, Conveyancers or Auction Houses. Auction Packs can include any conveyancing search that may be required including the most popular conveyancing searches such as a Local Authority Search, Drainage & Water Search and Environmental Report. Pali Ltd can produce Auction Packs for any council in England and Wales because Pali offers a true nationwide service. Here at Pali we understand that when a property is up for auction there is a time limit to producing an Auction Pack so we always try our up most to produce Auction Packs in time for your deadline. In addition to conveyancing searches, Pali can also produced an Energy Performance certificate (EPC) to be included in your Auction Packs. Please do not hesitate to contact Pali about our Auction Packs on 0151 691 1170 or email search@paliltd.com. If you have any questions regarding our Auction Packs we will be happy to help. Order your Auction Packs from Pali today! Pali Ltd (Property and Land Information) was formed in 1999 to provide a one stop shop for all conveyancing searches and other property related reports which can be purchased to create a tailor made Auction Packs. The founding directors still play a central role in the day to day management of the business and have been steadily building a strong team of knowledgeable, motivated and skilled individuals. If you are looking to order multiple Auction Packs and would like an account, simply contact us and we will be delighted to provide the facility. Conversely, if you would like to purchase a one off Auction Pack, simply call 0151 691 1170 or email search@paliltd.com. We will be happy to discuss your request for an Auction Pack and you can pay by credit or debit card over the telephone.